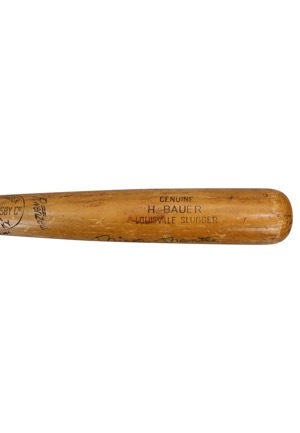 In his twelve seasons with the New York Yankees, Henry Albert "Hank" Bauer collected seven World Series rings and was selected to three All-Star teams. Manuf: H&B. Model Number: S2. Length: 35 in. Weight: 32.4 oz. Labeling Period: 1959. Wood: Ash. Condition: Uncracked. 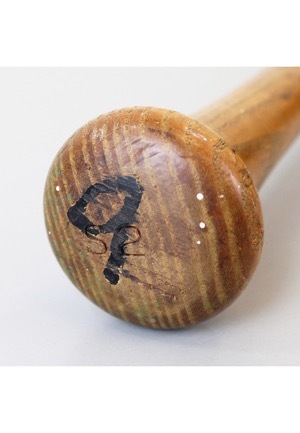 The model number “S2” is stamped into the knob along with the player number “9” written in black paint. 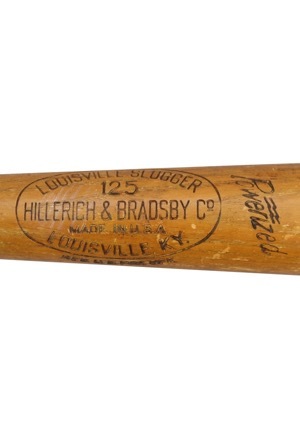 Several ball marks and ball impressions are visible on the left, front and back barrel. 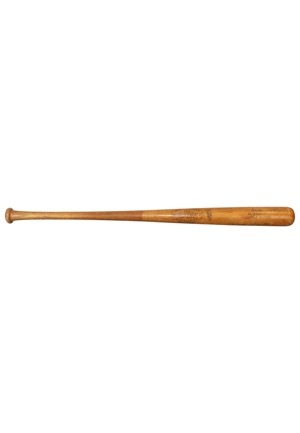 The handle has been scored to enhance the grip. 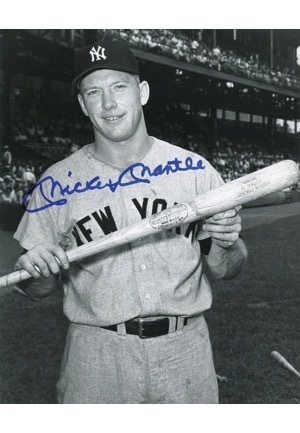 Mantle has signed the right barrel in blue marker and in our opinion the large signature rates an 8. 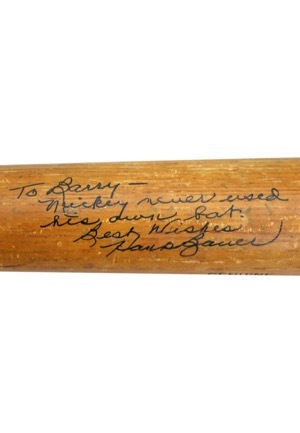 Bauer has signed the left barrel along with the inscription, “To Barry, Mickey never used his own bat. Best Wishes”. 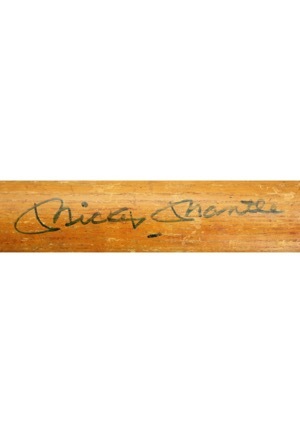 The signature is done in black marker and in our opinion rates an 8. 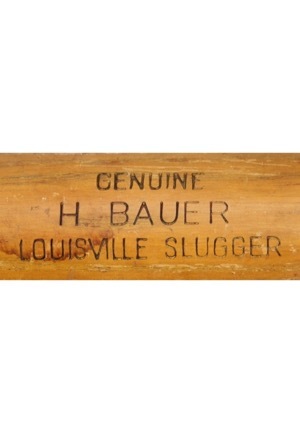 This bat originated from the Barry Halper Collection and features a personalized inscription to Barry Halper from Hank Bauer. 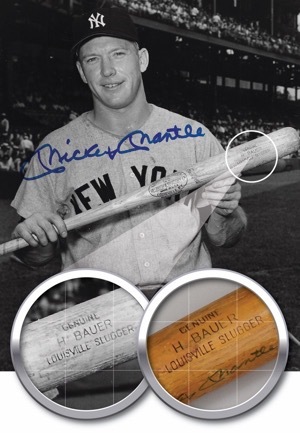 Bauer’s note to Halper implies the use of the subject bat by Mickey Mantle. The bat exhibits evidence of excellent use. 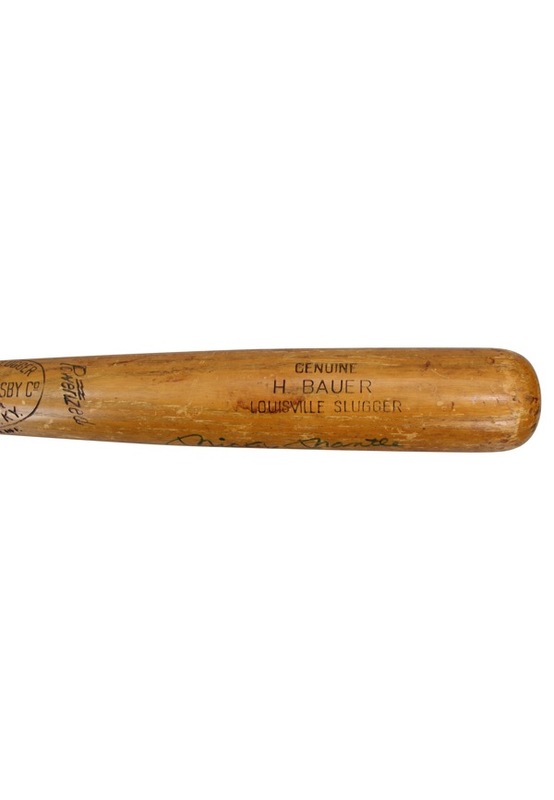 Included in this lot is a signed photo of Mantle holding Bauer's bat. Accompanied by a Full LOA from JSA for the autographs as well as a LOA from PSA/DNA.